Start your weekend off with a dose of suspense, as Lifetime Movies is all set to air their latest thriller film, Killer Inspiration! The movie will be aired on September 28, on Lifetime Movies at 8:00 p.m. EST. More details on the cast and plot are given below. All of the women who are murdered look like Amanda, and after every murder, the killer sends her a photo as a token of his affection for her. However, when Amanda’s son gets kidnapped, she has to make the decision between asking FBI agent Carl Sayers to help her or find the killer on her own. In the midst of all this, Amanda is pressured to play the murderer’s deadly game, in order to save her son’s life. Will she be able to rescue her son and end the chapter of the murderer once and for all? 38-year-old Erin Cahill is famous for playing the role of Jen Scotts in Power Rangers Time Force, Heather in How I Met Your Mother, and Kendra Burke in Saving Grace. Throughout career, Cahill has worked in TV shows like Free Ride, General Hospital, Red Widow, and 9-1-1. Her work in films includes The Biggest Fan, Beverly Hills Chihuahua 3, Skinwalker Ranch, The Order, and Nanny Nightmare. 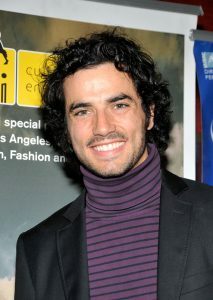 Antonio Cupo is a Canadian television and film actor and has been acting ever since he was young. He has even performed in several theatrical productions. Additionally, he was also the lead singer of a band called Hybrid Cartel. Cupo is known for his work in TV movies like Love Notes, Lost Behind Bars, The Whole Truth, The Good Mistress, In My Dreams, A Christmas Tail, Beaches, and Daughter for Sale. Other cast members of the movie include Lauren Gucci and Aaron Pearl. Judging from the trailer, it looks like a mind-boggling and captivating thrill ride, one you don’t want to miss! In case, you have not watched the trailer of Killer Inspiration, then feel free to click on the link below.